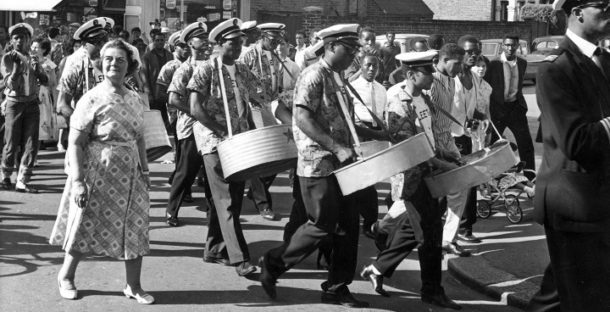 Brixton will be at the centre of events to mark the 70th anniversary of the arrival in London of the Empire Windrush and its passengers from the Caribbean. There had been a significant presence in Britain of people of African descent for centuries, but the arrival of the Windrush has come to represent the start of the huge contribution to and influence on British society that relatively recent immigrants from the Caribbean have made. The Windrush docked at Tilbury in Essex on 22 June 1948 carrying Caribbean servicemen returning from leave and young men who wanted to visit, and maybe find work in, the “mother country”. More than 300 of them found their way to Lambeth, staying at first in a deep air-raid shelter on Clapham Common and later in Brixton, especially in the Somerleyton Road area. Lambeth Town Hall is already hosting an exhibition of images of the Windrush Generation by local photographer Harry Jacobs. Jacobs, from an East London Jewish family, gave up his jewellery stall in Brixton Market and bought a camera to start a new business. He knocked on doors in Brixton and, in the days before digital cameras, smartphones and selfies, offered to take portrait photographs. The exhibition of his work, in Committee Room TH G01 on the ground floor of the Town Hall, is on until 6 July. There are free talks about the exhibition by curators Jon Newman and Kelly Foster on Tuesday 26 June at 1.15pm. Make sure of a place at bit.ly/LTH-ASoB. Friday 22 June, 3pm, the Windrush Foundation presents Remembering Sam King MBE, a memorial lecture, in St Margaret’s Church, next to Westminster Abbey. King volunteered for the RAF in the Second World War and later returned to Britain on the Windrush. He kept the names and addresses of his fellow passengers and sent them cards each Christmas until 1996 when he and Arthur Torrington – who will give the lecture – founded the Windrush Foundation. Free tickets from Eventbrite. Friday 22 June, tea party (invitation only) for older residents in Lambeth Town Hall with a commemorative cake supplied by Brixton’s Healthy Eaters. Saturday 23 June, Windrush Square event with music, food and performances in the square plus a mega dominoes tournament. Black Cultural Archives (BCA) has a family celebration of music, poetry, arts and crafts and talks. DJs play classic reggae, ska and hip hop. Poets and spoken word artists from Poetic Unity will perform inspired new work. There’s craft workshops and face-painting for children. London Blue Badge guide Kelly Foster, a cultural researcher and part of the team that established the BCA, has been unearthing untold stories of the Windrush Generation. She will be giving guided walks around Brixton. 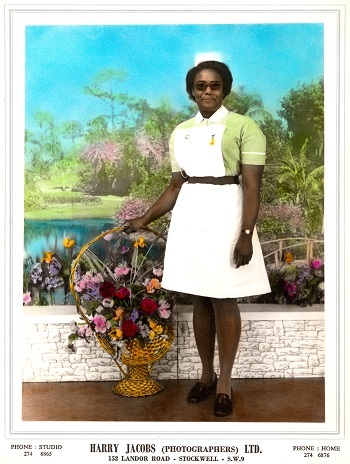 Friday 22-24 June, A London Transport Museum exhibition at the Clapham South underground shelters where some of the Windrush passengers were accommodated. Local MP Helen Hayes (Labour, Dulwich and West Norwood) is the sponsor of a House of Commons “early day motion” that recognises the contribution of the Windrush Generation to Britain. She and Brent Central MP Dawn Butler, shadow secretary of state for women and equalities, are organising a Speaker’s reception in the House of Commons to mark the anniversary.